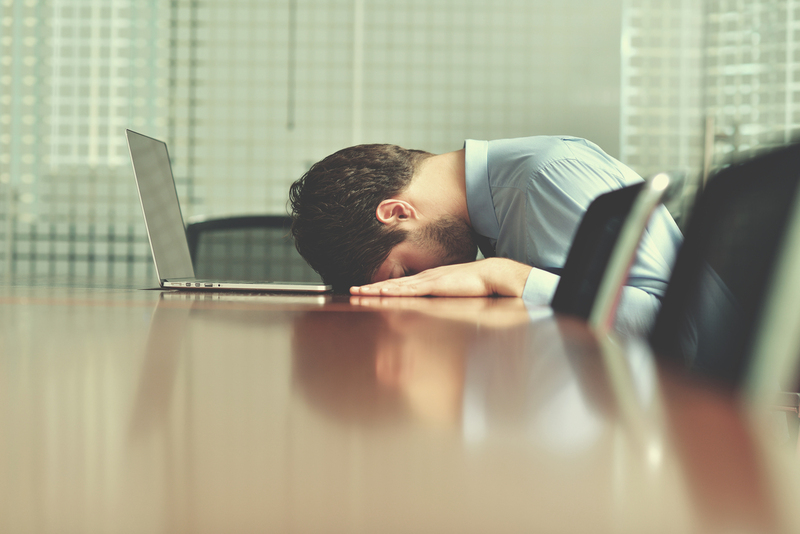 Your Google Shopping Ads aren't showing - you're stressed. But don't worry - this is a common issue among retailers and one that can be fixed, so read on to find out how. Invisible Ads are pretty bad for your campaigns and general ROI; I'm sure everyone can agree on that. They are the culprits behind your low return-on-investment (ROI), high cost-per-click and a wasted effort on behalf of your ecommerce/digital marketing teams. As well as being irritating, if your ads are not showing, this indicates that there are issues within your product data feed ranging from mild to severe. These errors need to be fixed and your feed submitted as quickly as possible so that you can continue benefitting from the channel’s vast reach and high conversion rate. What happens if my Shopping Ads are not showing? Low visibility and disapprovals are disastrous for your campaign success and ROI, especially if combined. It’s something that needs to be avoided, but product level advertising is never that simple, is it? Many retailers, by no fault of their own, struggle without a platform to manage and improve product data at scale. Poor product data will mean your ads are not relevant to consumer searches and as a result, your Shopping Ads won't show. 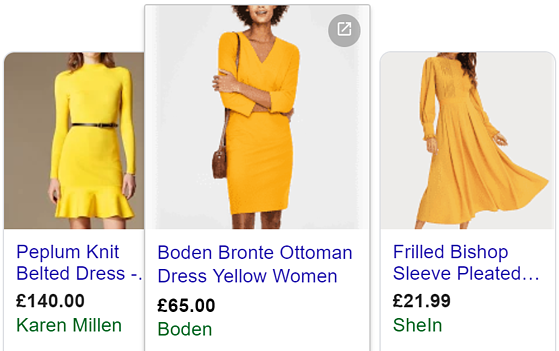 If a user searches for a blue, knit, V-neck jumper and you happen to sell one perfectly matched to their search query, it’s like a match made in heaven... except not really, because your product won’t appear. Similarly, if your product data is incorrect, your ad or whole campaign will be disapproved, depending on the number of errors and for repeat offenders, Google will suspend your Ads account, either temporarily or permanently. If you’re an agency, clients will also get email notifications that their products are disapproved, which will lower their trust in you. Once you’ve taken care of step #1 and your product data feed is in good working order, it's time to focus on improving it. Read on to find out what you can do to avoid invisibility and disapprovals with 5 reasons your ads might not be showing and 3 reasons why they may not be converting. Titles are one of the most important elements of your Google Shopping campaigns. They, coupled with the images, are what shoppers see first when the carousel appears at the top of the search engine results page. Google will also use these to match your ads to relevant product searches. If your ads aren't showing, then consider the keywords you're using in your titles. Your titles need to include the words and phrases that consumers search for in real-time. This takes a bit of research, but it's worth it. You also need to consider the different types of searches that are made such as non-branded, branded and product type searches and which attributes and search terms correlate with each. Your titles must be relevant to every type of search, which is done by improving titles in terms of what keywords and attributes are used in titles. Referring to the first reason (truncated titles), titles need to be in the right order so that the most important information appears first, just in-case they do get cut short. Sometimes the order of the title can be an issue, as the recommended structure varies from product type to product type. If you’re not sure how to structure your titles, it’s a good idea to experiment with different combinations, however, without being able to change titles to the recommended structures quickly and at scale means that the process of adjusting the whole feed could be time-consuming. It will ensure that consumers see the attributes they are looking for first. We find that many retailers use the Product Type attribute when they should be using the channel’s taxonomy. This is a huge reason for disapprovals and why your ads aren't showing. Your categories should be as granular as possible so that its easier for Google to show your Shopping Ads to relevant consumer searches. It's how they view your product, so it needs to be as fitting and as relevant as possible. You'll have gotten the category right, but it doesn't tell Google a lot about the product you're selling. In order to target the right consumers with the correct products, they need products that are relevant, using the correct category and is as granular as possible. Google recommend at least 3 levels of categorisation. How do you know what type of photograph will draw the attention of shoppers on Google Shopping? The best way to work out which image format works best is to test combinations over time. This, along with title and category combinations, can be done on the IR Platform. It's purely subjective, but if one image drives more clicks and conversions than the other, then you need to know in order to make the most out of your Google Shopping Ads campaigns. If you’re not sure, the most surefire way to find what works best is experimentation. Customers’ trust in a brand or business is broken when they are misled. One of the biggest reasons why shoppers feel misled is when the real-life product doesn’t live up to the image presented on the ad. Another reason being when the image doesn’t coincide with the title or description. Ensure the image used is realistic and high quality. Make sure you use as many as is necessary to capture each angle and give an accurate representation of the product..
Descriptions need to be interesting, unique and completely aligned to your brand’s voice. It is your opportunity to persuade the shopper to purchase the product. Avoid superlatives such as “the best”, “the most effective” or “the easiest” unless you can prove it. It sounds insincere. Its seductive and seems to have been written with care. Copying descriptions from your manufacturer's website won’t emulate your brand’s voice and might not be particularly persuasive. It also won't differentiate your Google Shopping Ads. How can you experiment on your Shopping Ad campaigns? Once your product data is complete and being consistently managed, you’ll be on your way to hitting your desired ROI on Google Shopping. Exceeding that mark, however, is achievable and can be done if your product data is as relevant as can be. Improving your product data by best practice, however, can only go so far. The next step is experimentation. Experiments are a vital part of driving ROI based on user behaviour. Almost everything can be experimented on, from CTAs on emails to content on the homepage of your website. Something much less done, however, is the experimentation of Google Shopping Ads campaigns. What drives the highest click-through-rates (CTRs) or conversions is often unknown and instead of using scientifically proven methods such as testing, guesswork is still the easiest option for many. Intelligent Reach, however, allows retailers to run multiple, scientific, sophisticated tests on product data attributes such as titles, images and categories at scale. This allows them to find out which variations drive the best engagements, conversions and visibility on every single ecommerce channel. As it stands, Intelligent Reach is proud to say that it is the only SaaS platform of its kind offering sophisticated experimentation for offsite ad campaigns and certainly recommend it for Google Shopping. We've helped our clients identify weaknesses in their product data by testing alternatives. Get in touch - we'd love to chat about how we can help you reach your Google Shopping Campaign goals, or even exceed them!